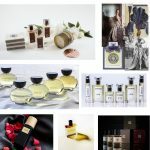 At The Perfume Society, we’re able to tap into an unrivalled Little Black Book of perfume world contacts to offer perfume-lovers a stunning programme of access-all-areas events and experiences that you simply won’t find anywhere else. 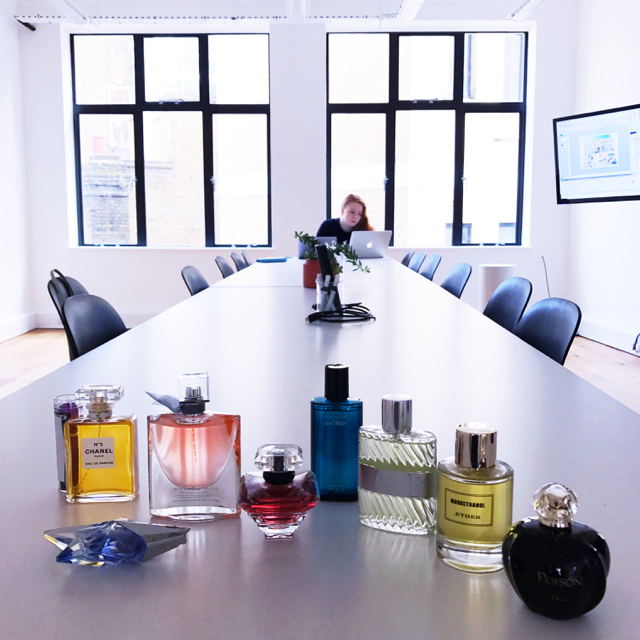 We’ve hosted candle-making workshops with Rachel Vosper and Scented Suppers with That Hungry Chef, while perfumer Ruth Mastenbroek has explored with us the fascinating world of aroma chemicals at a ‘Magic of Molecules’ workshop (see it set up below). We’ve followed a fragrant floral trail through New Covent Garden Market with superflorist Robbie Honey, hosted an afternoon of tea and scent pairing with The Rare Tea Lady – and visited the ‘vaults’ of Floris, one of London’s oldest perfumeries. We’ve introduced our followers to Paul Smith, Bella Freud and État Libre d’Orange‘s Etienne de Swardt, among other fascinating brand founders. We’ve even travelled abroad to explore the unique and historic Guerlain archive at their fragrant flagship on the Champs-Élysées. 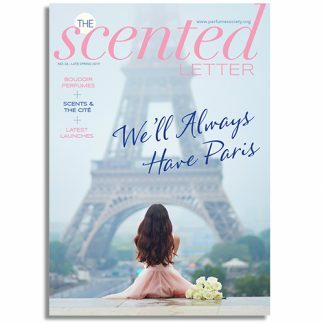 And in addition, when new fragrances are unveiled – for instance, from Tom Ford, Jo Malone London, Armani Privé and YSL, The Perfume Society is frequently invited to offer a sneaky ‘first sniff’ to our VIP Subscribers and followers, at exclusive preview events. And at every event, you’ll mix with interesting people who share your love of scent. Visit our current EVENTS page here.